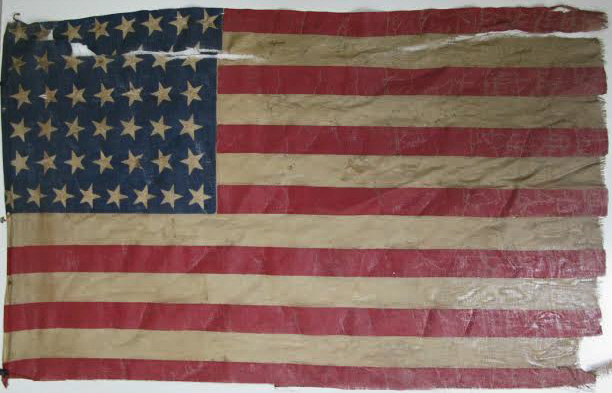 This old American Flag contains forty-four stars. Wyoming, the 44th state, was added to the Union on July 10, 1890. Utah, the 45th state, entered the Union on January 4, 1896. This flag must be dated somewhere between 1890 and 1896. The flag came from the Ben Smith-Litchfield house at 38 Great Road. 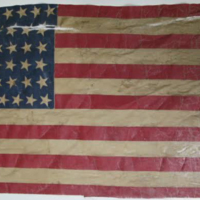 “Forty-Four (44) Star American Flag,” Maynard Historical Society Archives, accessed April 23, 2019, http://collection.maynardhistory.org/items/show/80.